Everybody loves summer reading, even if you're not a student or a teacher with the entire season free and clear. The heat makes you want to slow down and bask in the sun on a deck or at a pool or the beach, and paperback novels are an essential part of enjoying lazy summer days. 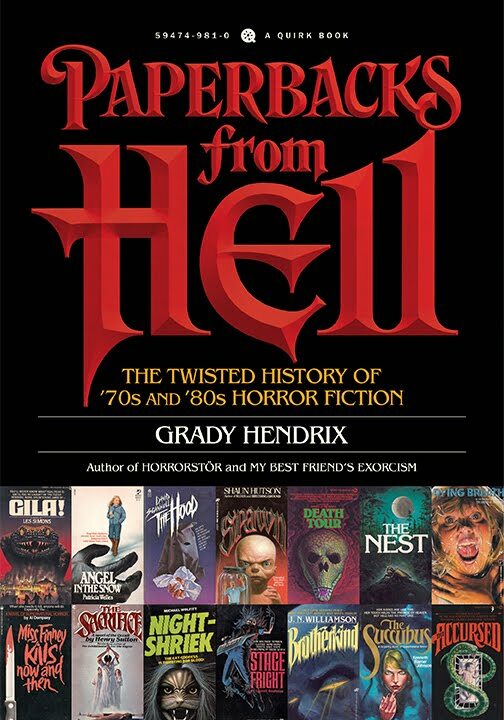 Might I recommend two semi-forgotten bestsellers from yesteryear, by a one-time actor who turned to writing and became a well-known horror author in the days before Stephen King? 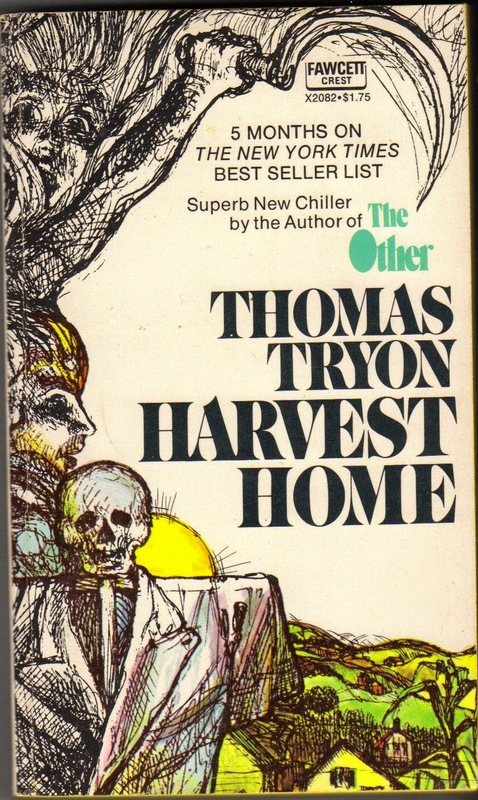 While I'm not exactly sure how I came upon reading them, I fondly recall both of Thomas Tryon's early '70s novels, The Other and Harvest Home, as leisurely-paced and precisely written, slowly and surely captivating you as the settings are carefully drawn and characters, and readers, come to realize idyllic towns are always hiding some fucked-up thing or another. Ugh, it's always gotta be something. The Other is set in a rural New England town in the 1930s, evoking both "The Waltons" and Bradbury's Dandelion Wine, with the young Perry twins, Niles and Holland, enjoying a carefree childhood. Except - well. I won't spoil it for you. Childhood is never quite "carefree" is it? Harvest Home takes place in a country village in Connecticut where a New York artist and his family relocate. The farmhouse they buy is ancient and charming, while the villagers in the town of Cornwall Coombe still hew to "the old ways." Which of course are always terrible, right? Right. I remember seeing the film version of The Other when I was in about middle school. I didn't have an idea what was happening, but I was certainly creeped out by the dark shadows and oppressing silence. Have yet to find Harvest Home anywhere. 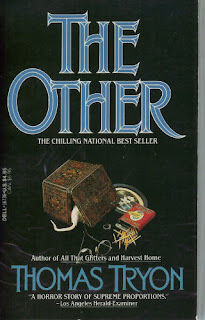 Great post and great book-I found a long sought after copy of The Other in a used book store-the film version hews pretty closely to the book, I was surprised to discover after reading it. There's a TV movie of Harvest Home but I've not seen it. You're welcome, Jessica, hope you find some good cheap old copies too! Thanks for reading. Fortunately, I snagged an old copy on the cheap at a local Salvation Army a few years back. I have yet to read it, although I know it's one of my wife's favorite books. I loved HARVEST HOME, both the novel & the two part television adaption. Which I read & watched back when I was about 16 during '77 or '78. The story is a great example of the "evil doings in a small isolated town" sub-genre. Which remains my favorite sort to this day. I highly recommend seeking out the CBS mini-series if at all possible, as it's quite a good adaption as I recall. 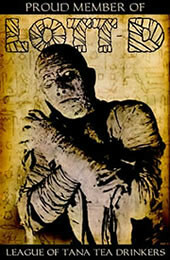 Now, oddly enough, I've never given the novel THE OTHER a shot because I have such a convoluted history with the film. Over the years, I've attempted to watch it repeatedly & have never gotten much further than the midway point. For some reason it just bores me to tears. 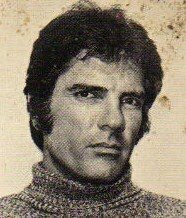 I stand corrected regarding who telecast the adaption THE DARK SECRET OF HARVEST HOME back in '78. It was actually NBC not CBS like I thought. BTW, you know one thing I hate about this wonderfully modern era of ours? It just kills so many of the tropes associated with & pretty much necessary for my favorite genre of horror fiction, the "evil doings in small, isolated towns". Think about it, with cell phones, camera phones, "smart" phones, GPS units, laptops... you mame it, they eliminate much of what used to make so many of those books work. I mean sure, with a bit of work by the author & the proper amount of suspension of disbelief from the reader, it can still work, but honestly, for it to REALLY do so, the author almost HAS to make the stories period pieces. No, you're right, Jim. Actually, a friend of mine & I were just discussing this a few months back. It also makes NORTH BY NORTHWEST/mistaken identity scenarios much more difficult to pull off. I've had the same thought about cellphone and such technology and how they'd make many horror scenarios obsolete. Great point! Harvest Home...oh my, I do love a bit of Pagan Matriarchal Weirdness. Love the book. Film is crap, but it IS up on YouTube should you have missed it in the way back. 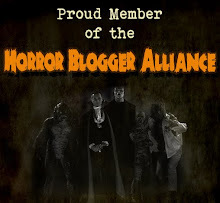 Outstanding blog, by the way. Wow. Thanks so much, Uberfem! I've seen the movie version of THE OTHER - pretty tame stuff - but not HARVEST HOME. Thanks for the heads-up. 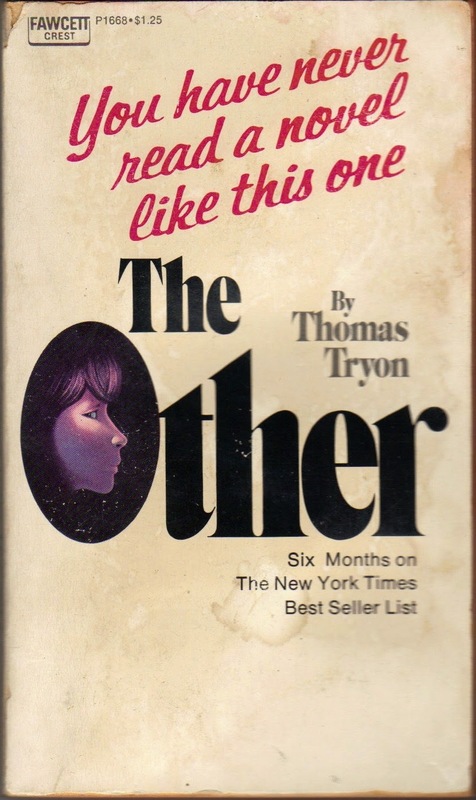 Well, as any horror fan would, I took her disapproval as a ringing endorsement… which might explain why I found myself two-thirds through the “The Other” and wondering what the hell she was talking about. “The Other” is a good horror novel, with above-average prose and a twist that must’ve been considered quite innovative in its day. However, the “adrenaline” comment really had me going into this anticipating something different. The story is more an atmospheric slow burn, and not the roller-coaster ride I expected.